The Central American Sea Kayak Expedition 2000 (CASKE2000) is an inspiring journey of exploration, endurance, and self-discovery that takes Jean-Philippe Soulé and his traveling partner Luke Shullenberger from Baja California all the way to Panama. 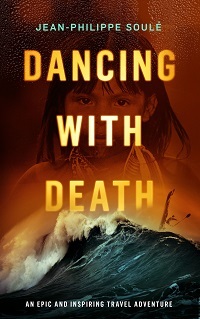 During this unfathomably grueling expedition, they will face every manner of threat, from sharks, crocodiles, and bandits to stormy seas, malaria, and their own mortality all in search of a deeper connection to Mother Nature and the indigenous people who revere her most. This is a tale of adventure, sacrifice, and physical endurance that will leave you breathless with excitement, mourning for our heroes’ losses, and cheering their successes. The evocative, gripping narrative coupled with countless, award-worthy photographs makes this a must-read for those who love travel, outdoor adventure, and the exploration of other cultures. But most of all, it's for the dreamers who've been told they can't, and stubbornly refuse to listen.